If you're considering hiring someone to care for your trees, we strongly recommend hiring an ISA Certified Arborist. 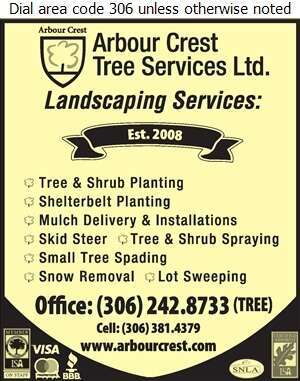 Arbour Crest Tree Services Ltd offers a complete suite of services, including Arboricultural services, landscape solutions, and snow removal. From the design stage to installation and ongoing maintenance, our trained staff can take care of your yard, cottage, condo, or commercial site on a year-round basis. In addition to our services, we are pleased to provide our customers with tree care consultations. We cover the benefits of proper pruning; deep-root fertilization, Dutch elm disease prevention, & aquacide high temperature water weed control. 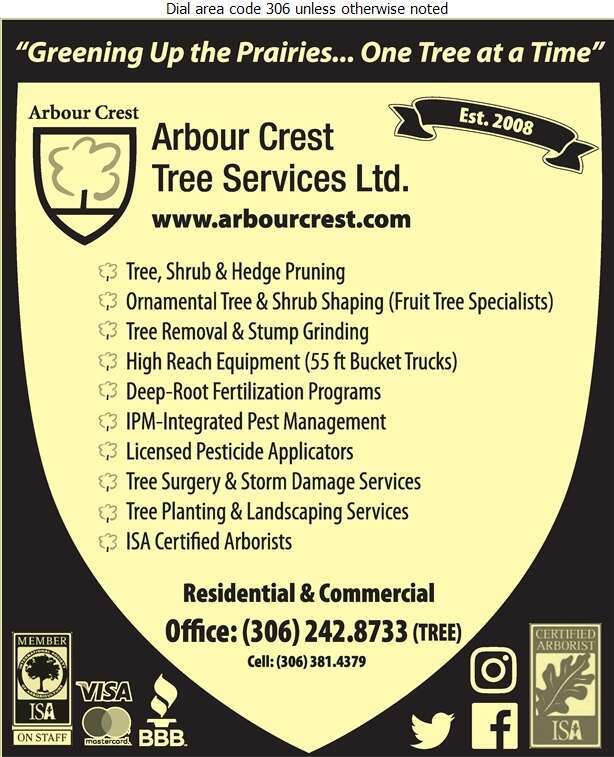 Arbour Crest is a quality-driven company, please call or email us for all your Arboricultural Services & Landscape Solutions.